It’s mega rush week! That’s right life is incredibly busy this week and for a good reason. I’m going to Oshkosh! I am so excited about going to such a large aircraft gathering. The planes, the people, the fun, i just can’t wait! Before i get too excited about leaving tomorrow, a lot of things have to get done. Besides the usual packing of clothes, cameras and computers, there was the more daunting tasks of getting inquires out for images from Osh to publishers, getting blogs done beforehand and of course having images present when I’m walking around. That’s what I’m here to talk about. 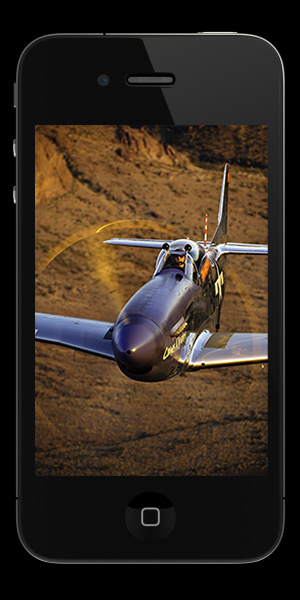 For those that don’t have an Ipad yet and want to be an aviation photographer, you might want to think about getting one. The iPad is the best way to show of images to pilots and plane owners. However, if you’re not ready to make such an investment yet then using the iPhone to store your images is the next best thing. Think about, you already are caring around a phone, it’s small and it does a good job. Getting the images on the phone may seem complicated but it’s not. The best thing you can do is create an Action in Photoshop. All it needs is, flatten the image, size it down to 1000 pixels on the longest side, convert it 8bit if it’s not already, convert it to SRGB, save and close the image. Remember though when recording not to use short cuts, always go through the main headers up to do all these steps. By using the click through methods instead of keyboard shortcuts make the action run smoother. By making two simple actions it was easy to get through 100 images in 10 minutes. It was that fast. I’m sure if i bugged my Dad i could probably make that even faster. This is just a quick tip to make life a little easier and customize your devices a little more.